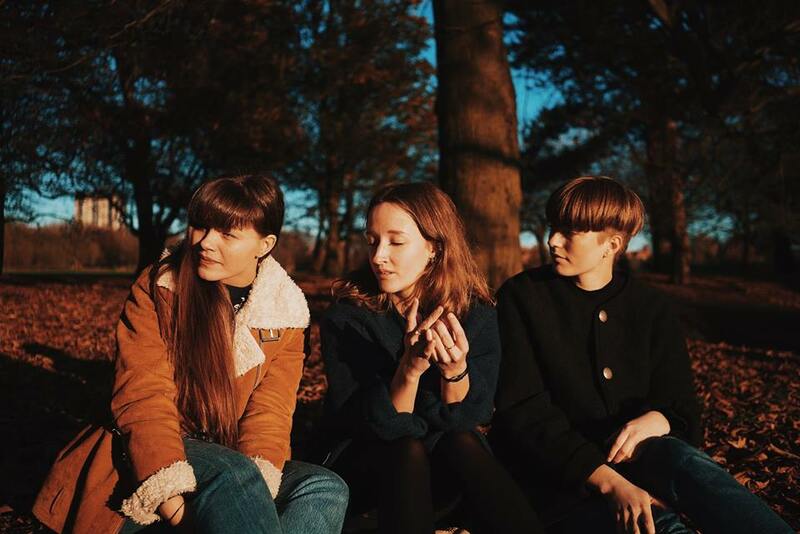 Norwegian trio, I See Rivers are readying their debut EP, Standing Barefoot, so we caught up with them for a chat in The Shipping Forecast. So your new single ‘Da Ram‘ is out now, what can you tell us about the track? Lill Scheie – First of all, it was one of the first tracks we ever wrote together! Eline Brun – They (Gøil and Lill) kinda started writing the record together before they asked me if I wanted to be a part of the band and I remember when I first came along and started writing together, you’d already started that song. Lill – We had written almost all of it, think we wrote the bridge together and some of the lyrics, so yeah, it was one of the first songs together. So there’s a bit of all of you in there then! Lill – Oh yeah, definitely. It’s just under a month until your debut EP is released, what can we expect from Standing Barefoot? Eline – ‘Da Ram’ is one of the most fun tracks on the EP but we’d like to believe that there’s a bit of everything in the EP, so a bit more dark, maybe? Like a bit more down and then something in between there. If that’s the case and there’s a bit of everything in there, cheeriness, sadness and all that, what kind of artists did you look to for inspiration? Lill – We kinda listen to different types of music but we have a few artists that we all agree on! We listen to a lot of Fleet Foxes, Inge Bremnes and our favourite artist is Sufjan Stevens, have you heard of him? Oh yeah, we love him! We saw him in New York in the summer! He’s just so whacky and zany! Gøril – Oh I know, he’s such a great musician! Lill – A Really good friend of ours, did front of house for him for his Carrie and Lowell tour and when he told us that, we were dying! Eline – “And you didn’t bring us!” It’s a dream to tour with Sufjan Stevens! Speaking of live shows, you’ve got the 2ube Xtra Festival coming up, so for those that haven’t seen you live before, what can they expect to see? 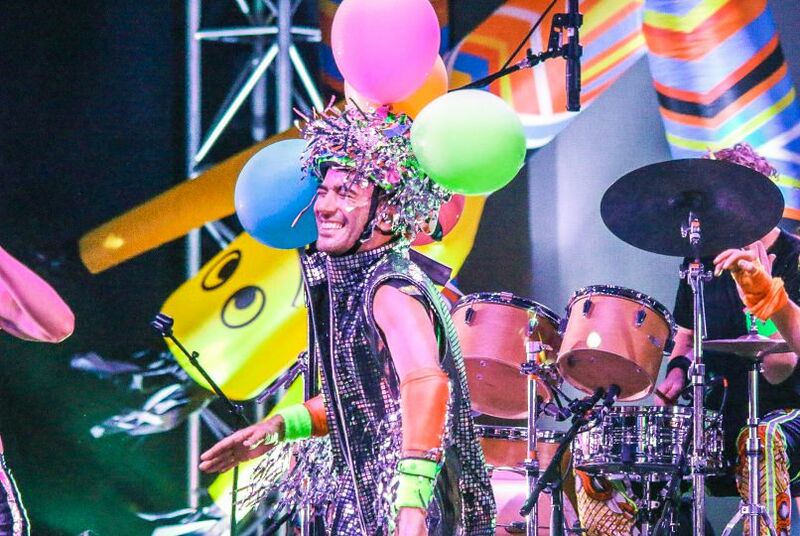 Lill – We have a lot of fun on stage, so like, bouncing! Eline – We have this thing were we move in time, our track, kind of flows a bit and shift at times and then Gøril would be like “showtime girls” and we’d be like a wave into the bridge. It’s like a whole dance routine within the music itself? Lill – Yeah, it’s a bit of everything, some super bouncy, some a bit more chilled out. Eline – We kind of recreated our live show, and for people who haven’t seen us, it wouldn’t matter. So it’s gonna be new for everyone then? Lill – New for us! So when it comes to doing live shows or even when you’re writing or recording, what’s the process like to get ready for that? Is there something special you have in mind that you need to do to get ready? Gøril – I think it changes every time, take writing for instance, it changes every time we have a new track, it’s all about the vibe. Eline – Then again, if you’re gonna have a show and if the day isn’t feeling right, you kinda just have to make it right. Lill – And I was so in to it and then I dropped my phone and it smashed! At the time it was just a problem for future you to worry about? Such a hard comedown! So you’re all from different parts of Norway, how did I See Rivers come to be? Gøril – We met in Liverpool and had all come to study music. So it all just kind of fell into place? How long have you been living in Liverpool now? How are you finding life on Merseyside? Lill – Very good! It is very different from Norway, I’m from Oslo, which is the capital of Norway, so I was used to the city but I never expected there to be like a cultural difference and I can’t really pinpoint what it is. So for the first few months, I was like “woah! Different, amazing but different”. Have you picked up the accent at all? Lill – Yeah, some…”can of coke” (in a European meets Scouse twang). So you knew English but you didn’t know Scouse? Eline – Yeah but that was the main difference. Gøril – But now it’s fine! So four years of living here then, what’s your favourite thing about the city, have you got any favourite places? Eline – I guess we all like nature, all the parks. Lill – There was a rock carved into the shape of a crocodile! Eline – It was really beautiful, cos from here [Liverpool], you can’t really see the sea, just the Mersey river, there you could just see all of the ocean, mountains, it was just different, like just across the river, it’s so different and beautiful. Cos sometimes we miss the nature a lot. 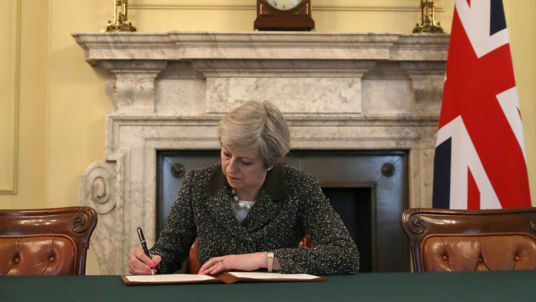 Speaking of being from a different country, today, Theresa May has officially started the process of Brexit, so what are your thoughts on that? Considering you call the UK a home away from home, how do you feel about this? Eline – Well obviously, we didn’t want that to happen but I guess it’s scary cos we don’t really know how it’ll affect us, up till now it hasn’t affected us but I hope we can call this our home for a long time. Theresa May triggered Article 50 today, officially starting Britains exit from Europe. So now is it that you feel a bit more restricted? So as musicians, do you think this could impact future talent coming here? Lill – I think so. Gøril – Not just musicians but human beings in general. Moving on! Record Store Day falls on April 22nd this year, the day after Standing Barefoot is released! Are you record collectors? Eline – I really want to, not now and probably not by Record Store Day but I will! Well if you could start your record collection now then, what would be the first vinyl you’d go for? Eline – Hmm, I think I’d like Carrie and Lowell. Lill – I’ll just agree on that. So all agreed on Sufjan Stevens then, yeah? It’s a good choice! A good place to start! Eline – We’ll start there and move on to more then! Gøril – We listened to that on tour on vinyl, always a good start to the day, Coffee and Sufjan Stevens! Record Store Day is a good time to get nostalgic, so thinking back to a time before MP3’s and streaming services, can you remember the first album you bought? Gøril – I think that Hits for Kids was such a big thing, think I had all of them, Hits for Kids 1, 2, 3… They had all the songs in the charts. 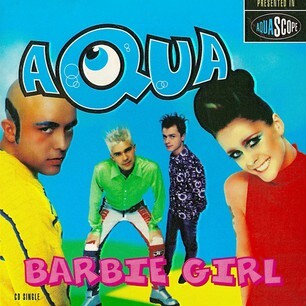 Aqua got stuck in everyone’s heads with ‘Barbie Girl‘ in the 90s. Eline – But I do remember that my first album I did buy was in London, it was a No Doubt ‘best of’ album. Looking back on the EP, Standing Barefoot coming out, how long have these songs been in the work? Have they been a long term thing or are these songs fresh? Gøril – Well as we said, ‘Da Ram’, our single was our first song ever, so the EP is kind of a collection of five songs from different eras of our four years in Liverpool, like moving away from home and everything. There’s one track we wrote literally the day going in to the studio and after writing the songs, we’ve worked with the tracks for about a year now? So the obvious answer is yes but are you excited for the EP to come out? Gøril – Yes! and a bit scared! What are the plans when the EP comes out? Are there any tour dates coming up? 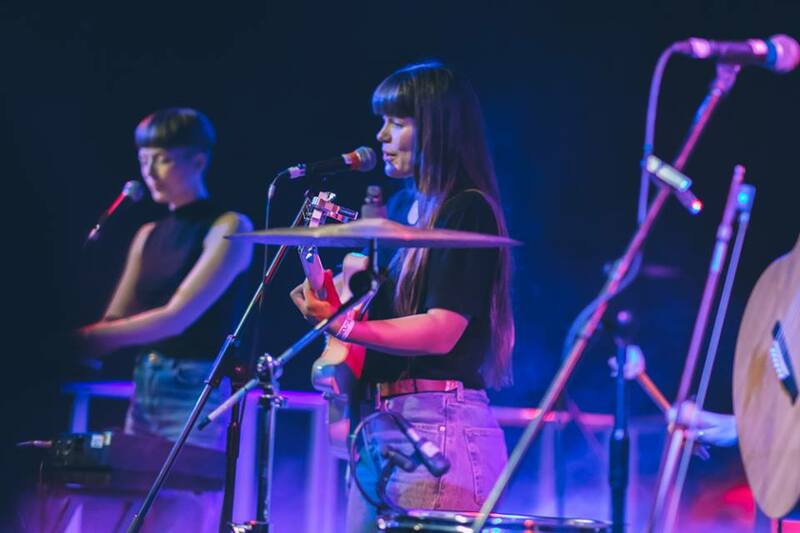 Lill – We’re going on tour in May but we haven’t announced it yet! Will there be a show back home, here in Liverpool? And that’s all you can tell us right now? I See Rivers single, ‘Da Ram‘ is out now and their debut EP, Standing Barefoot is set to be released on April 21st. 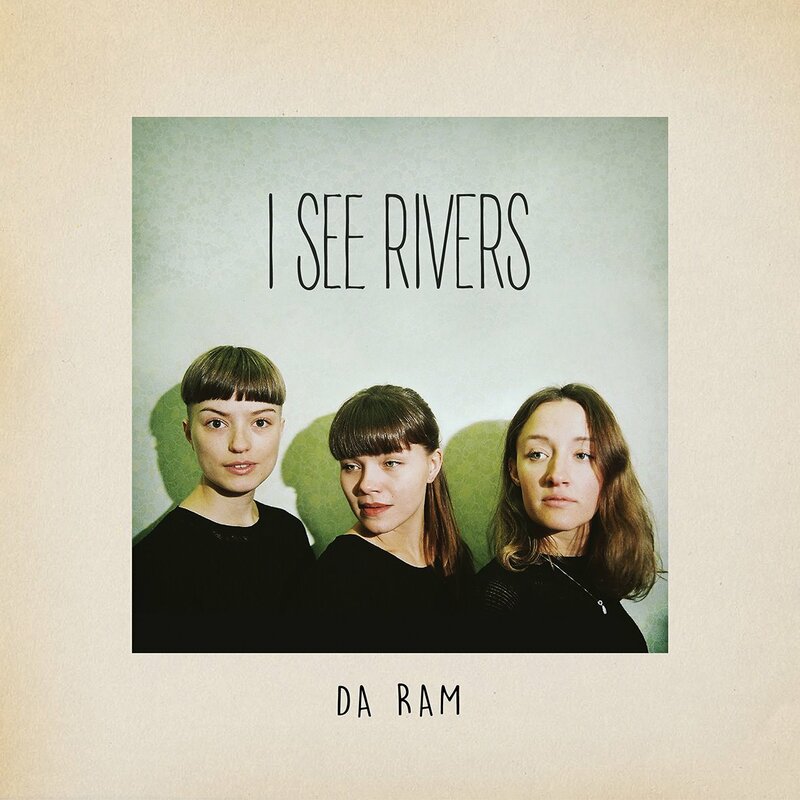 The new single ‘Da Ram’ by I See Rivers, out now. Do you love indie as much as we do? Enjoy going to gigs at the Arts Club or catching a band play in the O2 Academy? Then you should join the team! JACKS are looking for writers and if the above sounds like you then click here and get in touch! © 2018 jacksmedia.net, Ltd. All rights reserved.